dults are also prone to ADHD or ADD (attention deficit disorder) but most adults are likely to have ADHD because they had it as kids. There are many signs of ADHD, some of which are very obvious and others are not conclusive. As a parent, one needs to look out for any and every symptom that may indicate ADHD. Only a detailed diagnosis done by an expert can state conclusively if a child is suffering from ADHD. Here are the 5 signs of ADHD that every parent should look for. Barring very rare exceptions, these 5 signs of ADHD are conclusive symptoms. A child having ADHD would be inattentive. The child will not be selective in his or her inattentiveness. Whatever it is, be it studies or sports, watching television or listening to instructions, inattentiveness would be perennial and obvious. If your child is inattentive a lot then you should get him or her diagnosed. Hyperactivity is a state of being overactive. A child who is inattentive for most of the time may become hyperactive during certain events or while performing some actions. There is no rule that can list out the instances when a child would become hyperactive. You would have to observe to identify phases of hyperactivity, just as you would look out for inattentiveness. Restlessness is integral to ADHD. It is not a conclusive symptom among the 5 signs of ADHD since many kids are restless on certain occasions but if your child is restless more often than frequent then it is indicative of ADHD. Kids are normally fidgety, up to a certain age. If your child is more fidgety than expected or more than normal then it is one of the 5 signs of ADHD. Also, most kids are fidgety in certain situation or with certain items that are in their possession. A kid with ADHD would be fidgety with many things, in or not in their possession. Impulsive reactions, unreasonable mood swings or completely unexplained behavior or reactions of a child are among the 5 signs of ADHD. Any level of impulsivity should ring the warning bell and you must opt for medical intervention. 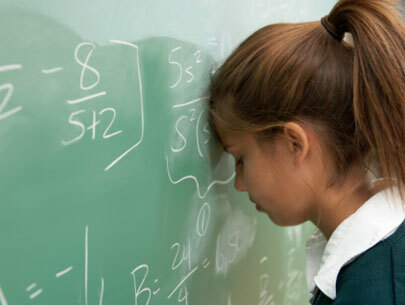 ADHD is a chronic condition and it can develop into a larger problem once the child grows up. It affects interpersonal relationships and can be decisive in shaping or worsening one’s career and personal life. Thus, getting diagnosed at the right time and opting for holistic treatments is very necessary.